“It’s been a really awesome experience,” McCormack said at his retirement ceremony Tuesday. McCormack left the other chief information officers in the room with a pep talk. McCormack started his career at DHS in Customs and Border Protection (CBP). After representing CBP in an agencywide IT integration team, McCormack became the CIO of Immigration and Customs Enforcement. McCormack then moved to the Department of Justice, where he worked on the security implications of mobility. McCormack returned to DHS in 2013 as the CIO, where he oversaw efforts to strengthen IT security. “He’s always out front. He’s always trying to do what’s best for the mission and he always gets the job done,” said Margie Graves, acting CIO of the Office of Management and Budget. 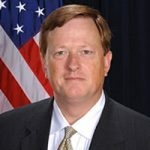 Graves worked with McCormack on the transformation task force under Tony Scott, former Federal CIO. “In the IT community, he was playing three-dimensional chess while the rest of us were playing one-dimensional checkers,” said Robert Foster, CIO of the Department of Navy. President Donald Trump on Friday appointed Richard Staropoli, former chief information security officer at Fortress Investment Group, to fill McCormack’s job as chief information officer for DHS. Prior to working at Fortress Investment, Staropoli served as a special agent in the Secret Service for 25 years. “He was introduced to the team today and he’s going to do a great job,” Jeanne Etzel, who served as acting CIO before Staropoli was appointed, said Tuesday.